I wanted to do some work developing some functionality against Github using Hubot, and I hit the classic challenge of attempting to develop against a webhook-centric interface: “How am I going to simulate the webhooks?”. 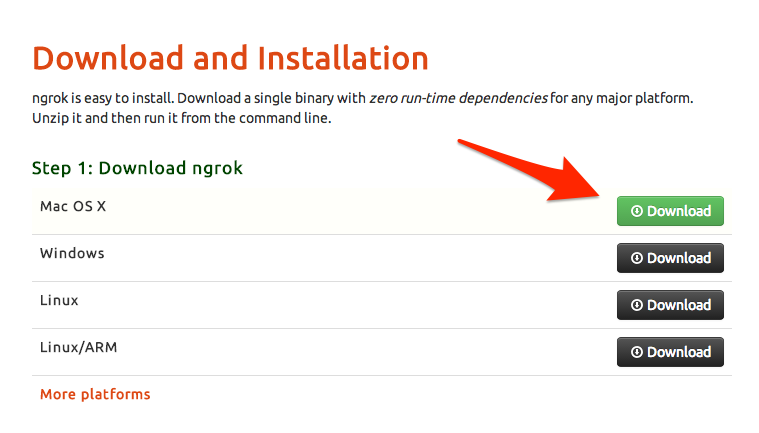 Fortunately I did some basic searching and stumbled across a project called Ngrok. Ngrok is a pay-what-you-want tool that allows you to expose a local server externally without all the headaches that would otherwise be necessary at the network infrastructure level. Below follow step-by-step instructions on how to get up and going with Ngrok. 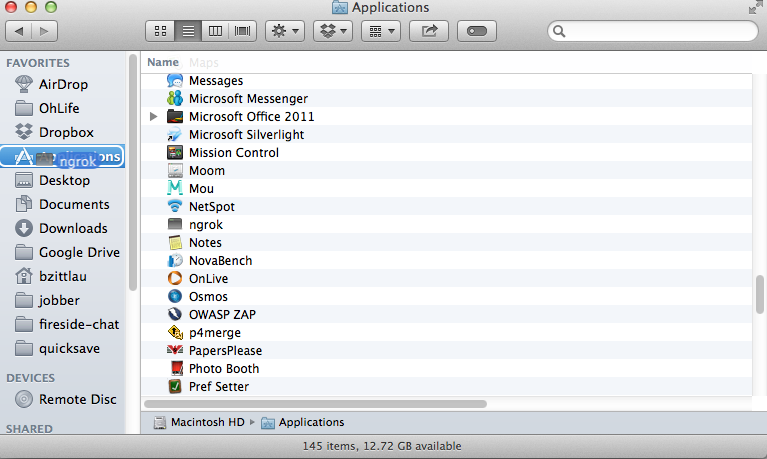 Assuming your an on an OS X development machine. If you’re using another operating system most of the steps will be close but details will most likely vary. 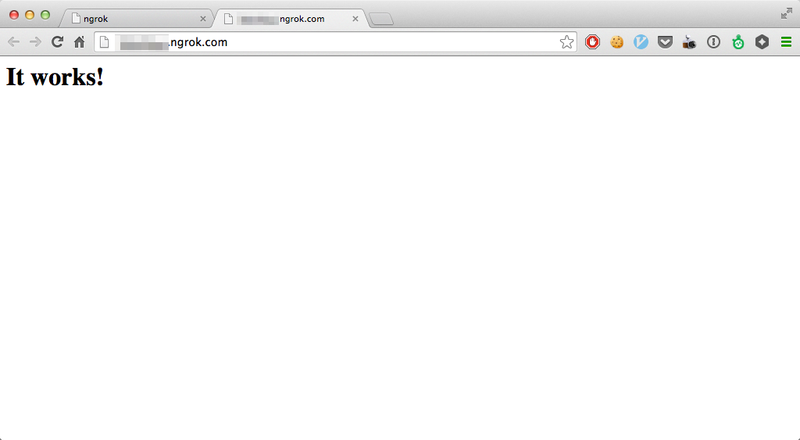 Incredibly it’s not actually necessary to sign-up for an Ngrok account to use their tool. If you don’t wish to signup you can simply proceed to Step 2., however, there are some nice features that are available if you do signup, such as custom subdomains and password protected tunnels. These instructions will assume you have signed up for an account, so if you skip this step your mileage may vary. WARNING: This will expose your local port 80 to the internet. Exercise with Caution! The authtoken is only necessary the first time you start Ngrok as it remembers it in a ~/.ngrok file for you. 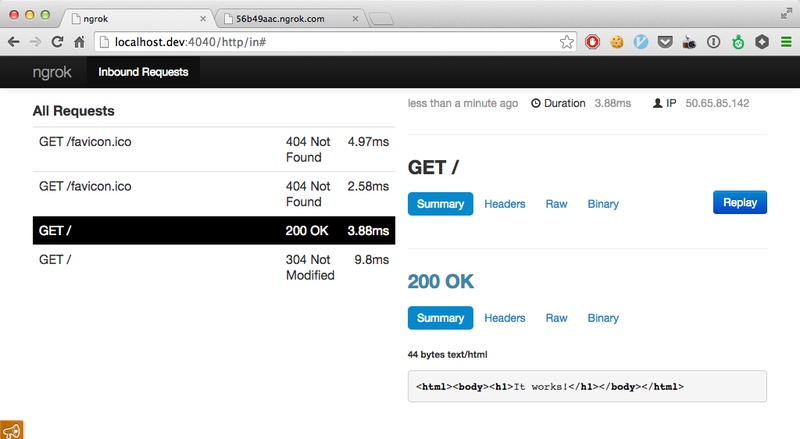 So at this point I now have a tunnel open that’s redirecting an external url to a local server. To start developing against those webhooks you simply need to give them that Ngrok URL as your webhook or call back endpoint, and start building! Step 4. Checkout some other cool features! 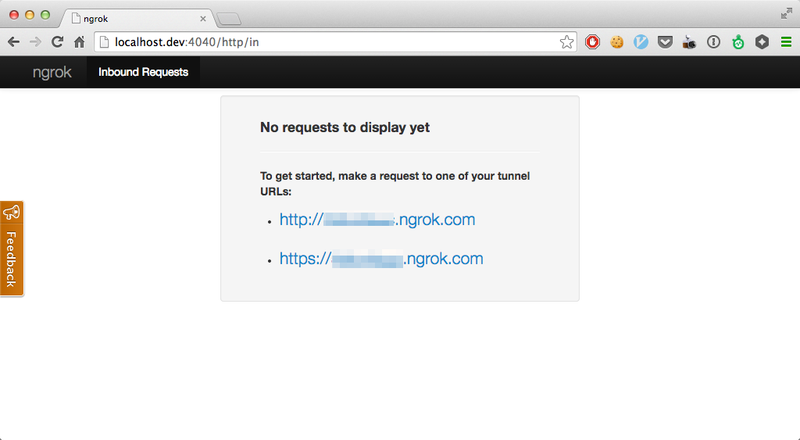 Ngroks web interface will keep a history of all the requests it proxies, including request times, request/response header, body. This is one of the coolest development tools I’ve seen this year, and on a pay-what-you-want model its an amazing value. If you try this out and get value from it, I highly recommend contributing back to the project. They accept paypal, so it’s easy to throw a few dollars their way. I personally think it’s well worth the recommended $25 yearly contribution.